It was so cold that day. I was standing outside the two cathedrals of Coventry, one huge and very modern, the other in ruins after that terrible night during World War Two. There was snow on the ground and my fingers had turned bright red. No gloves, because I'm stupid. A metal camera turning icy to the touch in my hands. I just wanted to take my pictures and leave for somewhere less Arctic in its general temperature. But snow wasn't the only thing on the ground. There was a squirrel sitting close by, just watching me from behind the railings. On a whim, I turned to photograph it too, but it must have been suddenly camera shy. It took off as I snapped it. 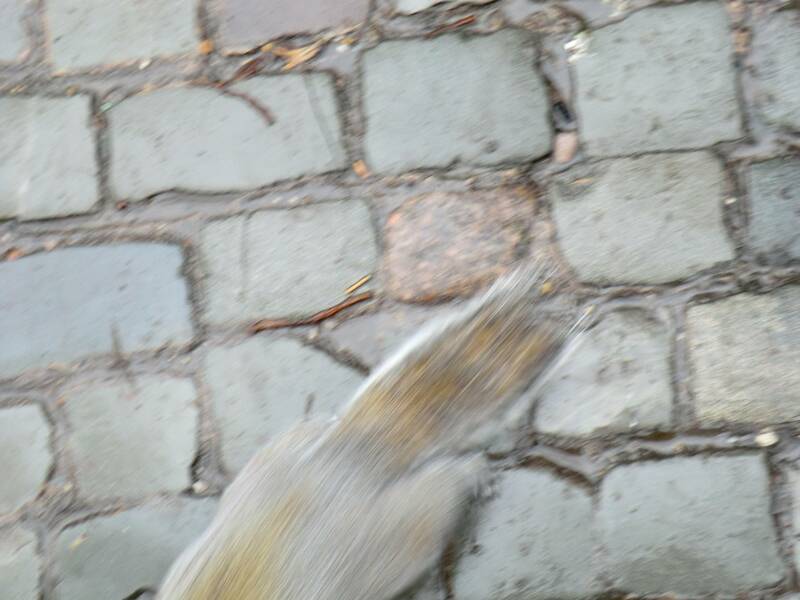 It was an abortive picture, but still cool to see the squirrel darting out onto the pedestrian cobblestones. I still held my camera up by my face, wondering if I could get a better photograph before my fingers fell off. Or frostbite set in, or something. Then the squirrel changed course. To my stunned delight, it came right up to my foot and looked up at me. Still the creature was so fast that I could barely get it in the frame. I was clicking away like mad, but as soon as I had him, he was gone again. I was starting to draw a little crowd, as passers-by paused to giggle at the over-familiar squirrel. None of us expected what happened next. 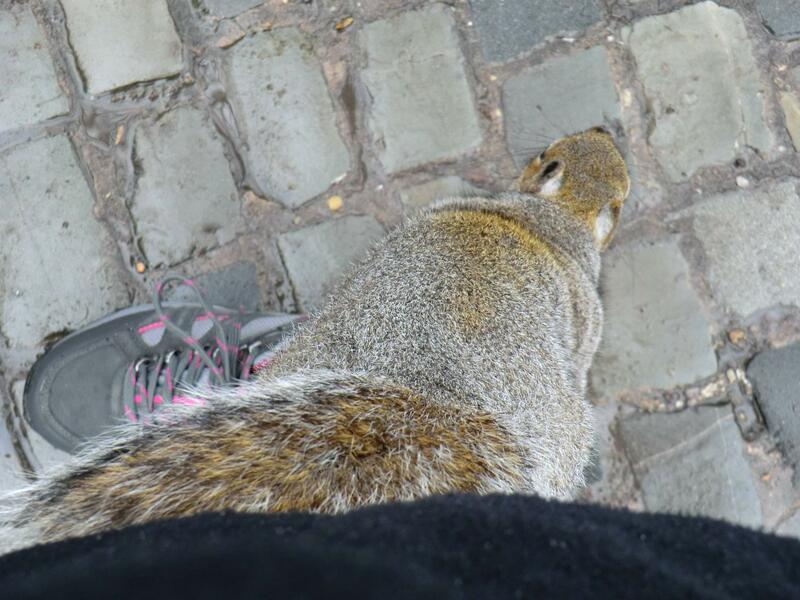 The squirrel climbed, not up the nearest tree, but up my left leg. To cries of 'Wow!' from a young lady watching, the creature arrived on my breast and peered inquisitively into the camera lens. It was too close. It was too fast. My camera, for all its idiot-proof genius, could not focus quickly enough. I got the picture, but, as you see, it was all a blur. To be fair, I didn't care too much about Zazzle or anywhere else just then. 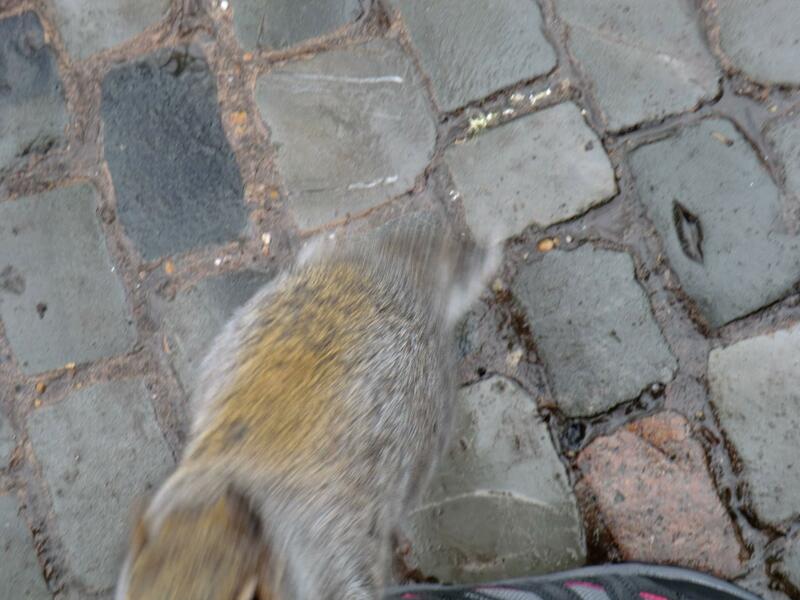 I was too busy being enchanted by this squirrel and the fact it was scampering all over me. 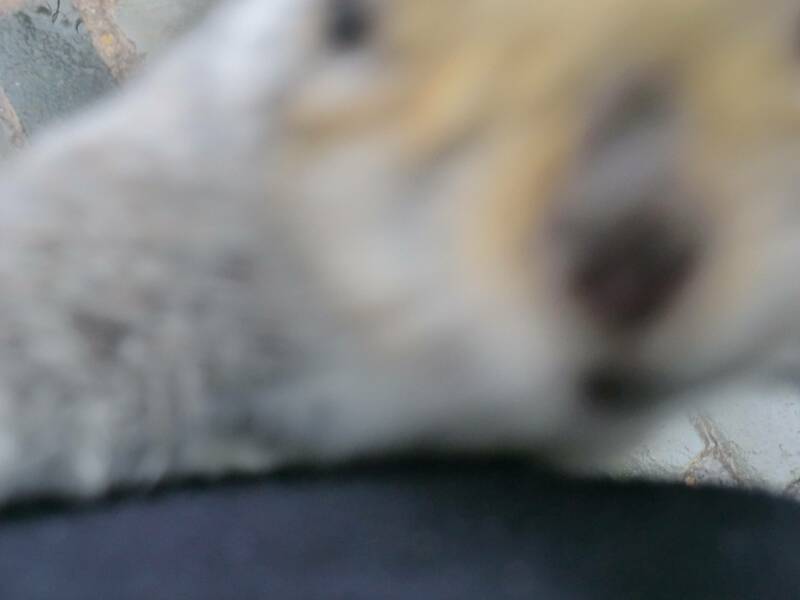 Unfortunately, the camera must have appeared very boring upon its inspection (or simply wasn't food after all), because the squirrel immediately darted across my chest and ran down my other leg. At least I finally got it in focus! And a round of congratulations from the onlookers, as we all tried to work out how that just happened. 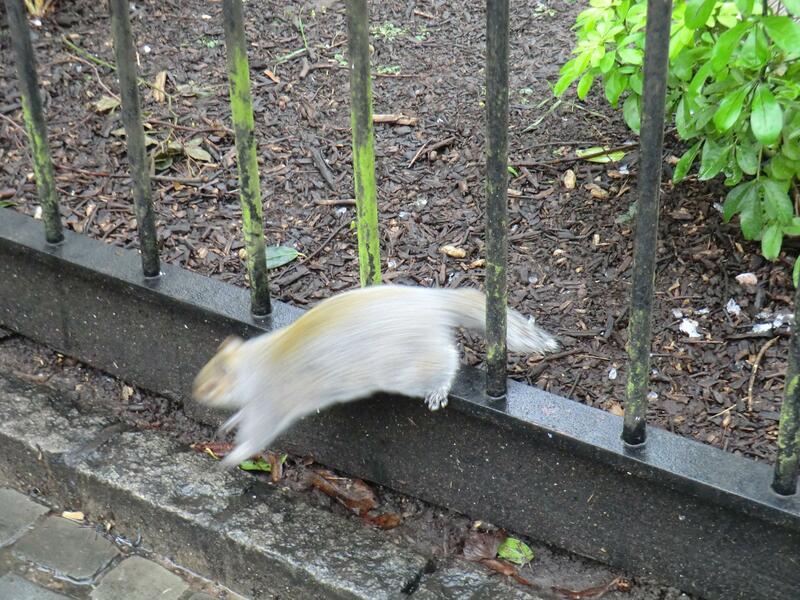 As for the squirrel, it took off across the old Coventry Cathedral grounds in search of a new diversion.